Mmmm... in real life it looked even more like shades of toothpaste. 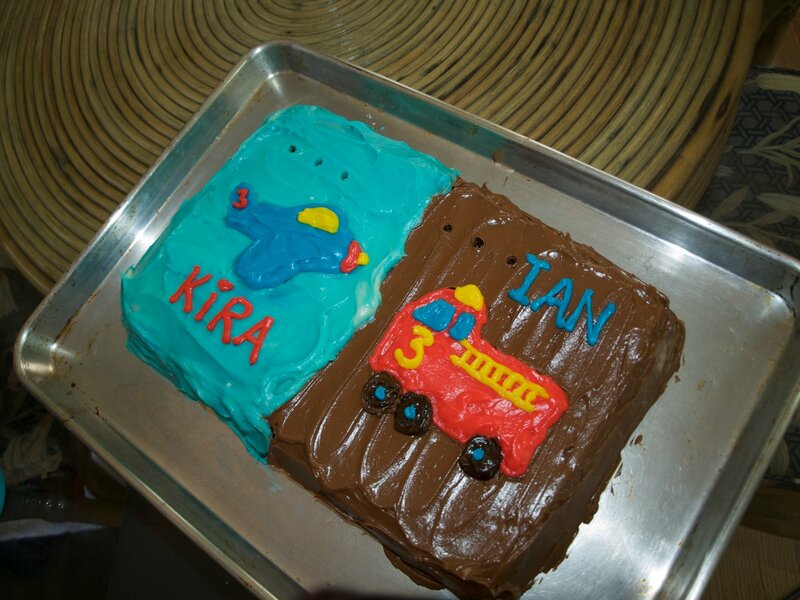 But Kira loved her blue cake, and that's what counts. I felt like a pretty bad mom when Ian looked up and asked me, "Where's my ladybug?" Now I understand why people tape strings to the bottom instead of taking a bat to it. Here's what the ladybug looked like in the BEFORE pictures... our crafty nanny made it. 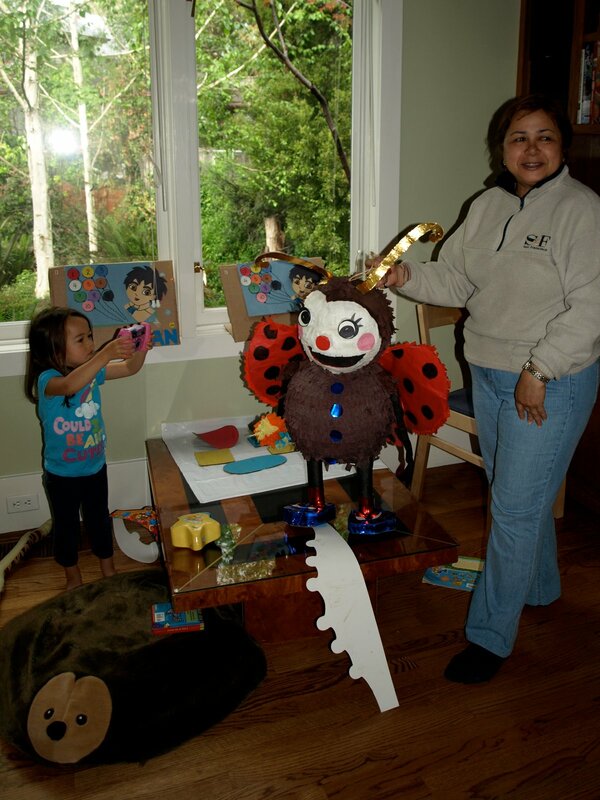 The nanny *made* the lady bug? Wow. The cake looks amazing! I cannot believe they are 3.